If you missed parts 1 or 2 of this trip report, click on the corresponding number and you’ll find them there! 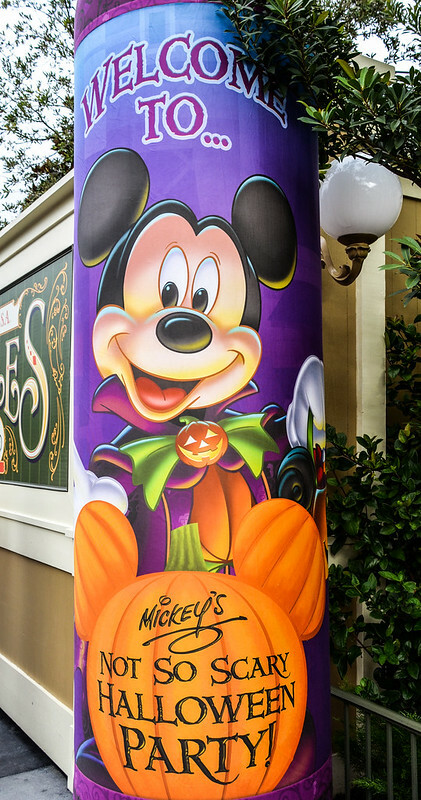 I’m slightly embarrassed to admit this but I’d never been to Mickey’s Not So Scary Halloween Party. 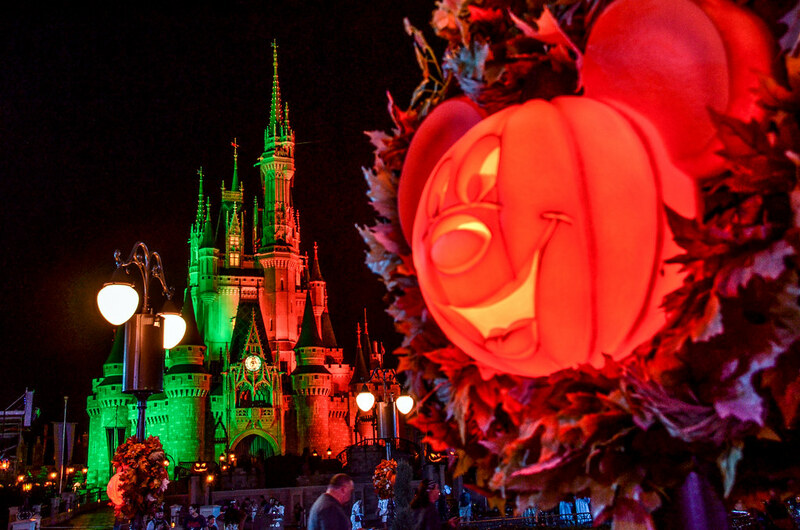 In fact, I’d never been to a Disney Halloween or Christmas Party. Am I even qualified to run this blog? Probably not, but I suckered you all in to reading this anyway so I must go on. 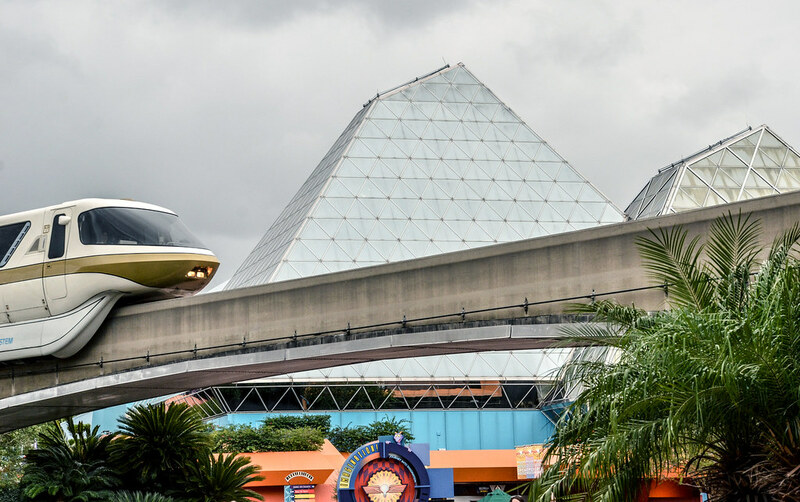 All this to say, I was very excited for a new experience while at Walt Disney World. The night before I was able to stay in Animal Kingdom well past sunset and the next night I was attending an event I’d never been to. Living the high life indeed! Even before getting on the bus that took us from our hotel to the Magic Kingdom, we were feeling festive. Most of the people on our bus were in costume (including us) and everyone seemed to have even more bounce in their step. I had a nice discussion with Darth Vader, who appeared to be about 9 years old, and his mother before heading in the gates to Magic Kingdom. Once inside we were ushered in the Main Street bypass to get our wristbands and candy. 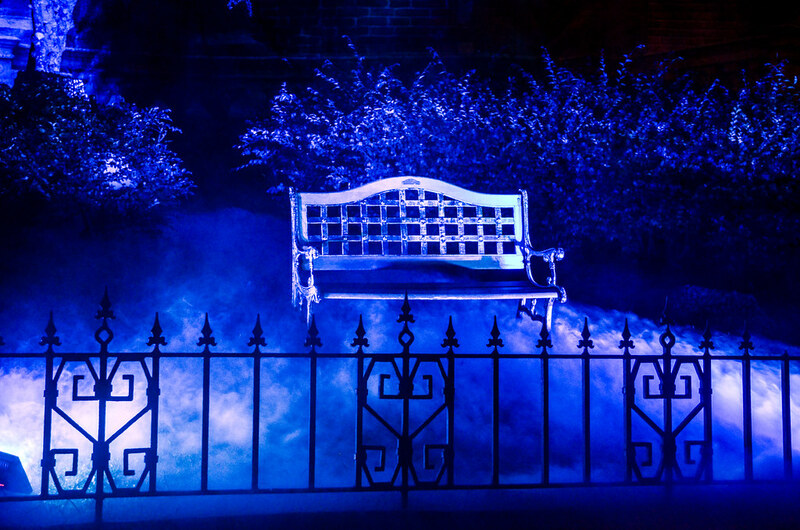 There were a few statues and signs to celebrate the nights event but nothing that memorable. I do wish that we had been able to go to the Halloween Party a little earlier in the year so that I could have written a guide/detailed review for those that would be going later in the year. Unfortunately, that didn’t happen. So instead you get a trip report of what we did that night and a guide next August before the 2017 party’s start! After getting our first bags of candy, which come with the price of admission to the party, we headed off to Seven Dwarfs Mine Train where we had a FastPass+ Reservation. 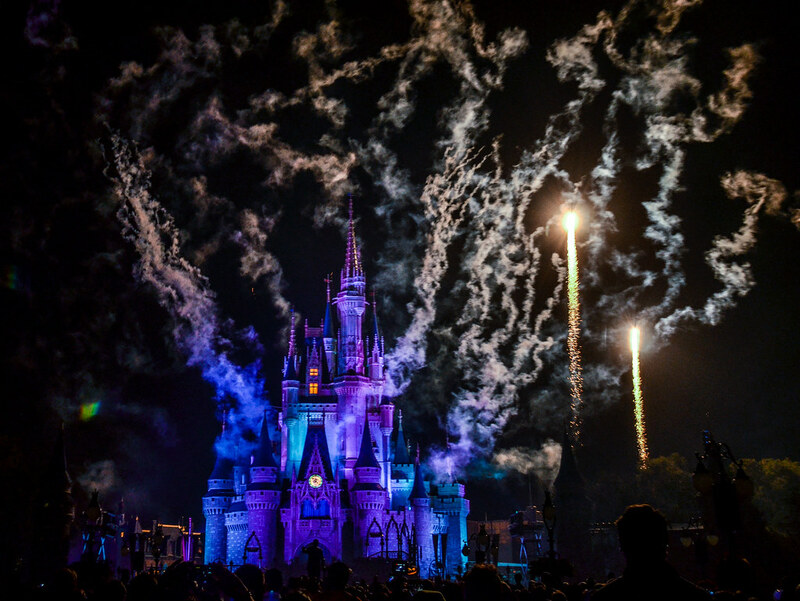 Pro tip: You can make FastPass reservations at Magic Kingdom even if you only have a party ticket. 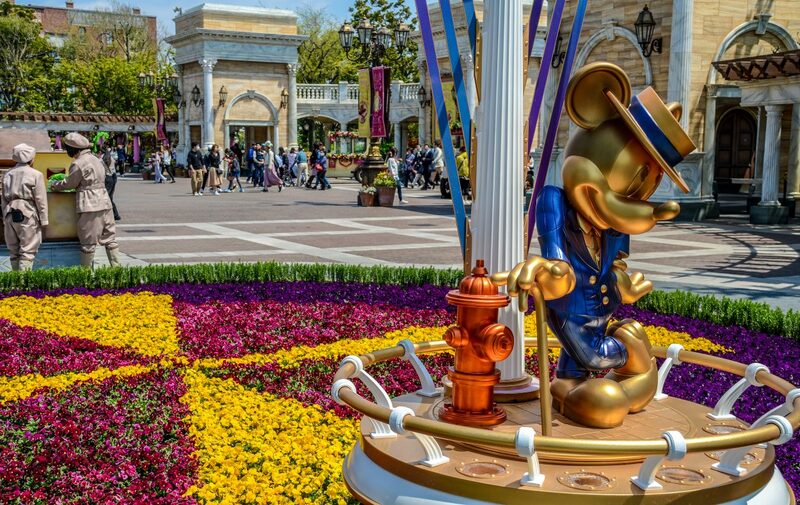 Just make sure to not have the reservation before 4 PM because that’s the earliest you can enter the park. 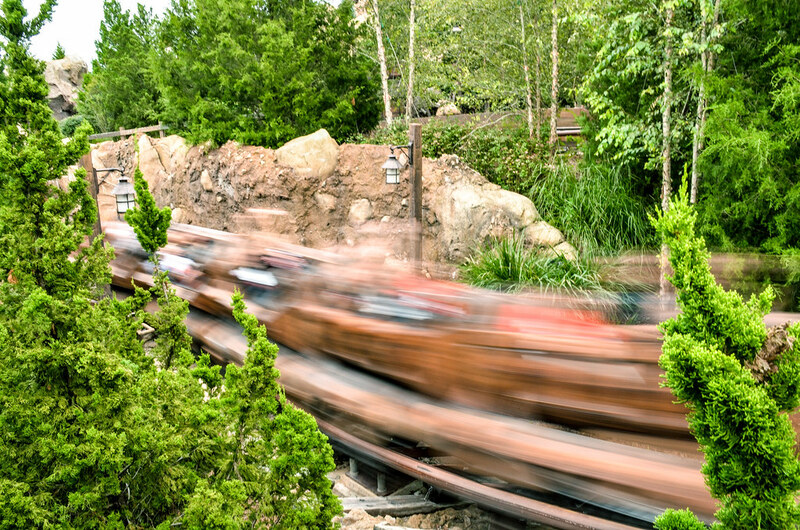 The Mine Train is always fun and has firmly settled itself in the 2nd tier of Disney World attractions. You know, the ‘I want to go on this attraction but I won’t be devastated if I don’t’ tier. 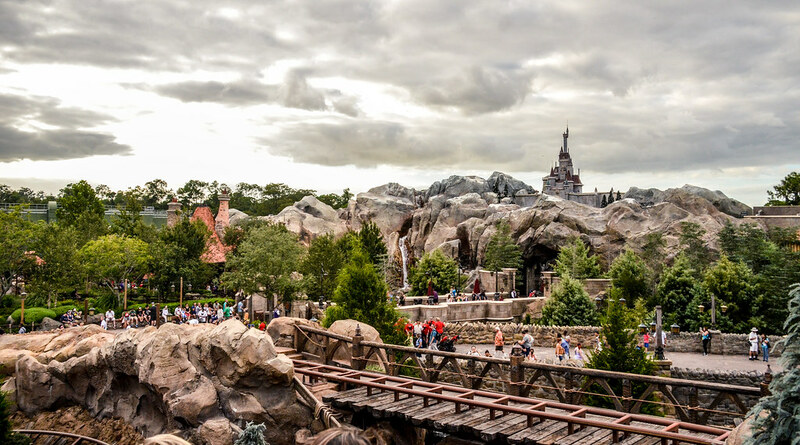 Regarding the photo above, I actually think Beast’s Castle looks best from the top of Seven Dwarfs Mine Train. I think the forced perspective from the view above works much better than when walking across the bridge into Be Our Guest. We wandered around New Fantasyland for a bit before it was time to get serious about our partying. I was a little confused at this point in time on what to do. I’d read a few guides on the Halloween Party’s beforehand and most seem to recommend going to see unique characters even before the party starts. Unfortunately, the guides that cast members hand out don’t tell you which unique characters meet where. They should change that. Eventually we found where the seven dwarfs meet and greet was and then we got in line. None of us cared much about meeting characters outside of these. If we did, then our plan for the evening would have been drastically different. As it was, we waited in line for about an hour to meet the seven dwarfs (thankfully they started meeting around 6) and got this beauty of a photo to prove it. 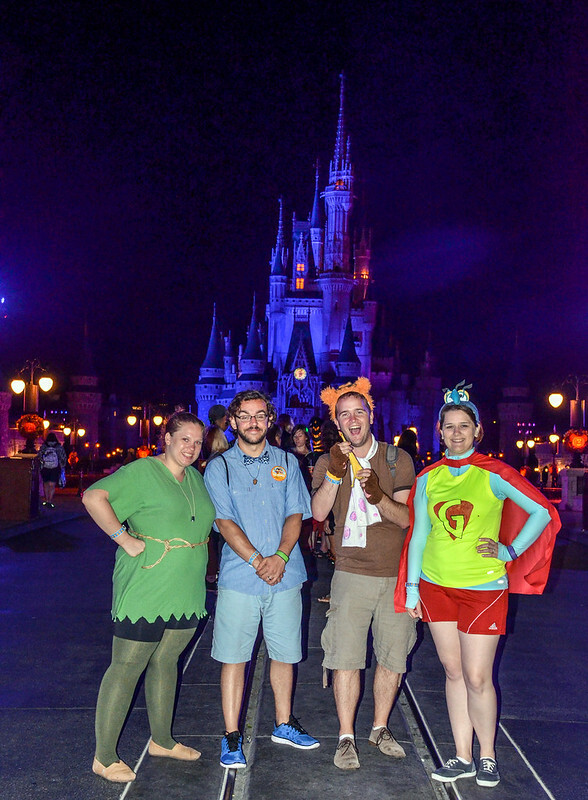 Before you ask our costumes were as follows (from left to right): Mackenzie was Peter Pan, Darin was Wendy (or a number of other ideas we came up with), I was Fozzie Bear, and Melissa was Gonzo the Great. 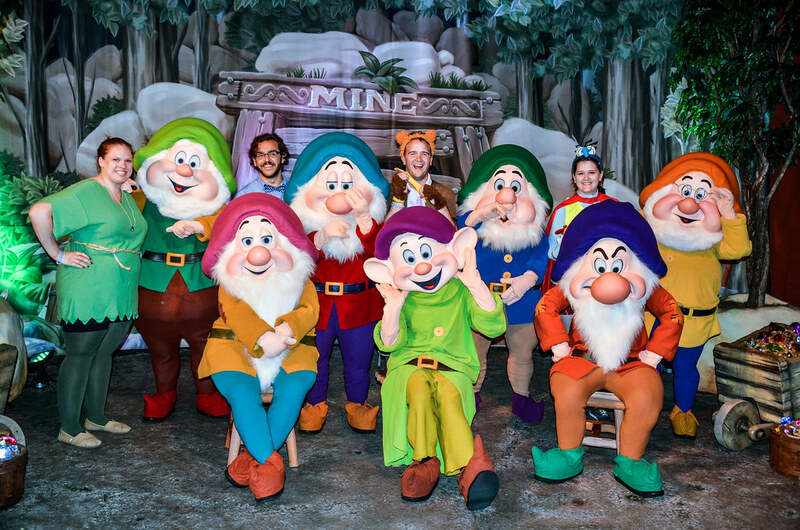 I really enjoyed meeting the seven dwarfs, they were playful and funny. This was the longest line we waited in all week but was somewhat worth it because of it being unique to the party. After meeting Grumpy and the gang we made our way to Main Street, stopping for treats along the way. The candy was needed as we all kind of forgot to eat dinner until about 10 PM that night. Eat before the party people! 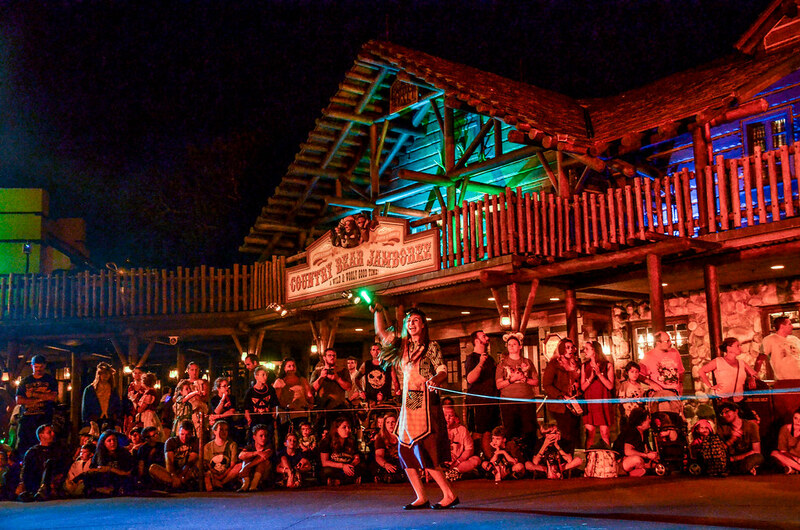 It appeared that our party night wasn’t extremely crowded, as we were running somewhat late to find a spot for the Boo To You Parade but still found a great place on Main Street. Many Halloween Parties were not very crowded this year. It was crowded at times but we were able to get the spot we wanted for the shows without having to be there more than 20 minutes in advance. I’d heard far better photographers than myself say that the Boo To You Parade is tough to photograph. Boy, were they right. This isn’t Paint the Night, where the floats exude light. I was adjusting settings constantly and never had much luck. We saw the first showing of the parade on Main Street and I had a little more luck there than later on. That’s not to say we didn’t like the parade, I thought it was fantastic. I loved the soundtrack, rare characters, and atmosphere of the parade. 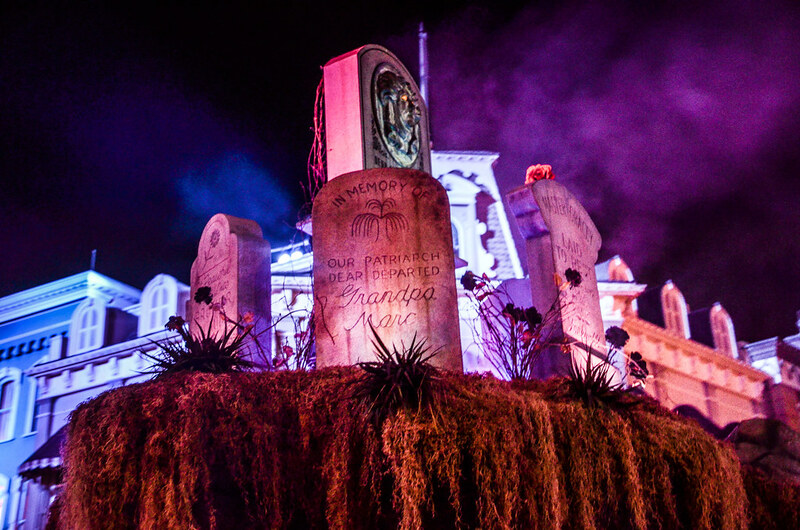 While none of the floats are show stoppers, the costumes and characters are where Boo To You exceeds expectations. Who knew Big Al played an Epiphone Guitar? After the parade we trekked down Main Street and laid claim to an excellent spot for viewing fireworks. As most of you know, there are tunnels under Magic Kingdom called utilidors. 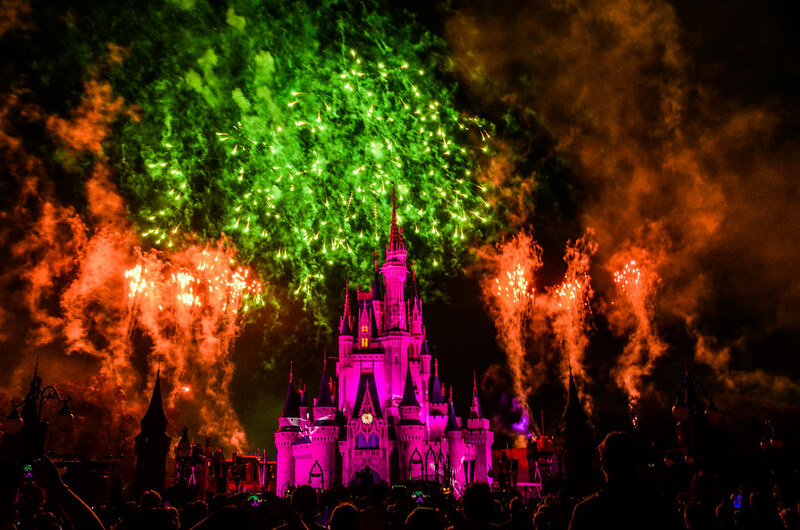 You can feel the slight incline while walking down Main Street and once that incline ends is where I prefer to view fireworks in Magic Kingdom. We were able to grab this spot for the Celebrate the Magic and HalloWishes! Prior to the shows we had a little extra entertainment in the form of this dancing pirate. Needless to say, Disney Parks are prime people-watching destinations. This becomes even more so when you have everyone and their grandmother dressed in costume. 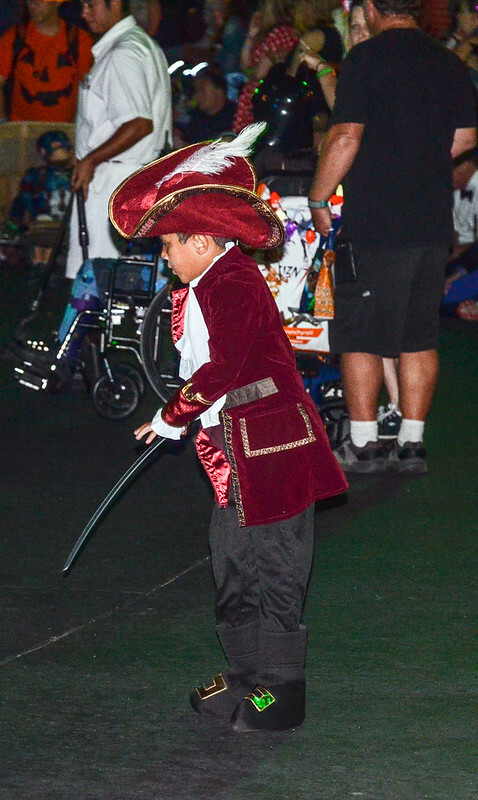 Captain Hook here had us entranced with his never-ending dance moves. I choose to believe he hasn’t stopped dancing since that night. 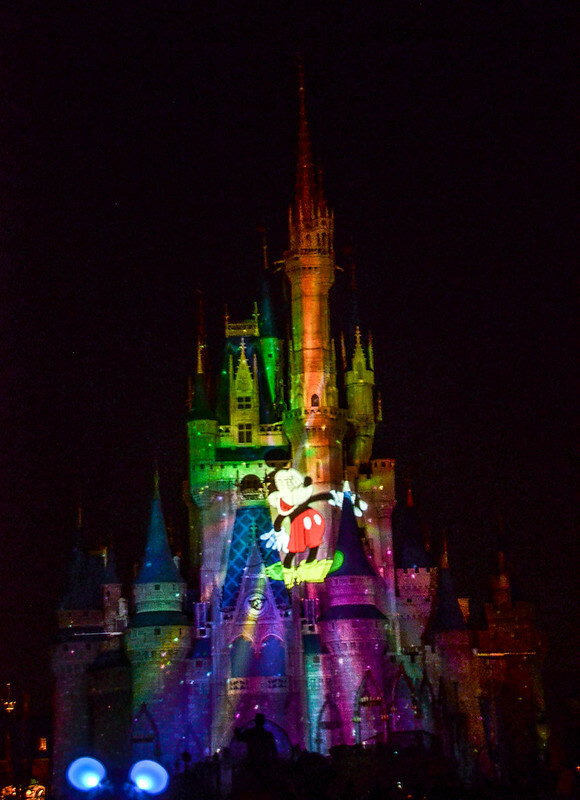 The projection show was cool, as usual, but I’m happy that they are moving on to a new one. This had some neat visuals and fun moments but was nothing more. 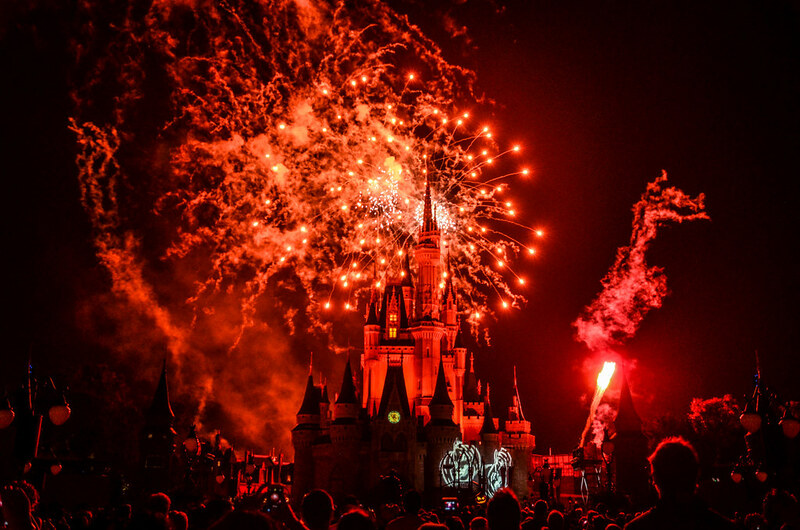 Of all the Halloween Party offered, I was most excited to see HalloWishes! I’m a sucker for fireworks shows anyway, but especially if they are on theme. This certainly didn’t let me down. I thought the soundtrack was wonderful, the plot was fun, and the actual pyrotechnics even surpassed expectations. All in all, this was probably my favorite fireworks spectacular that I’ve ever seen. All the different villains who make (voice) appearances keep the show going at a quick pace. The perimeter bursts are absolutely stunning. I can’t wait to see the show again. 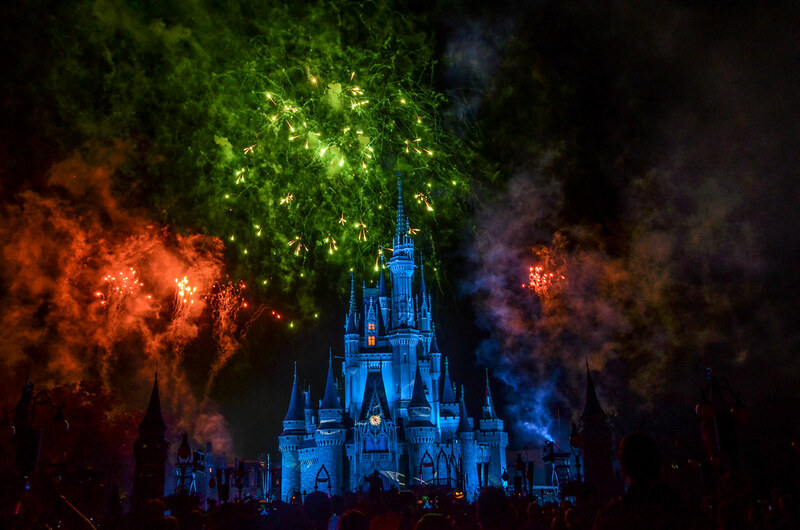 After HalloWishes! 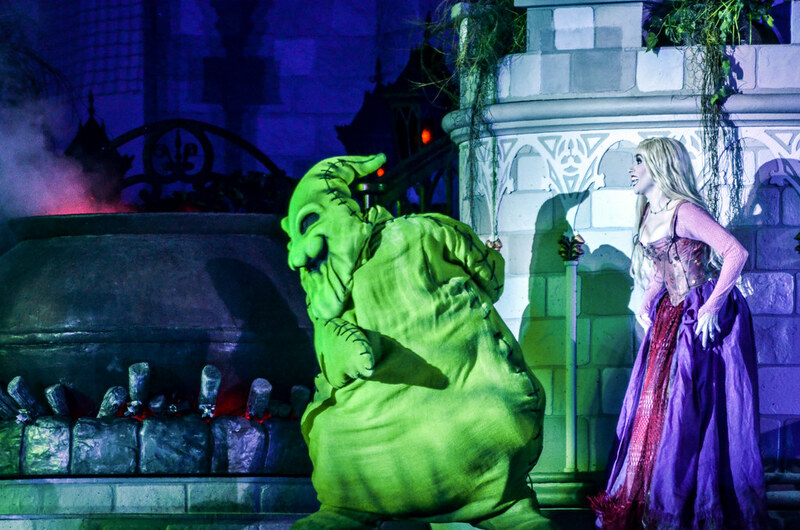 we stuck around Main Street to see Hocus Pocus Villain Spectacular in front of the castle. This show was almost as much fun as HalloWishes! I know literally nothing about Hocus Pocus. After seeing the show I know that the movie’s three main characters are sisters and… That’s it. In other words, you don’t need to be familiar with Hocus Pocus to enjoy this show. 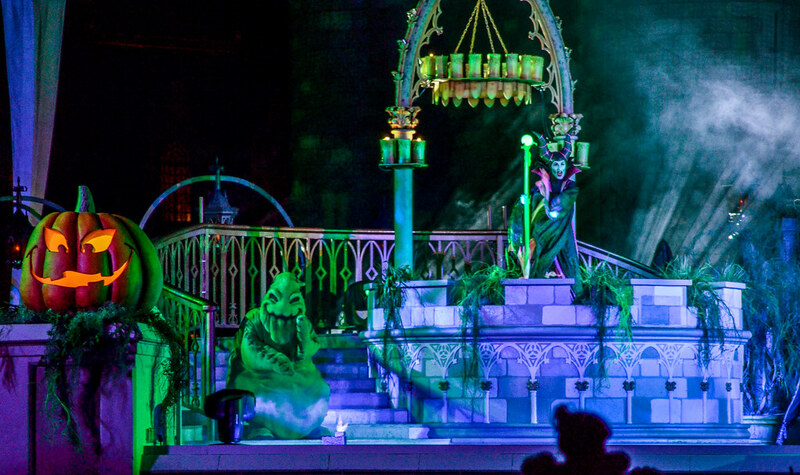 The show brings out a ton of classic Disney villains and does so in a fairly organic way. The Sanderson Sisters are charming and funny. They act as narrators in the show, keeping it going and advancing the plot. The soundtrack is excellent (which was a theme for the entire Halloween Party) and mixes Disney classics with a few deep cuts. Of all the castle shows I’ve seen, which granted isn’t very many, this was far and away the best. I’d like Disney to do a show of nearly this quality during a regular park day. 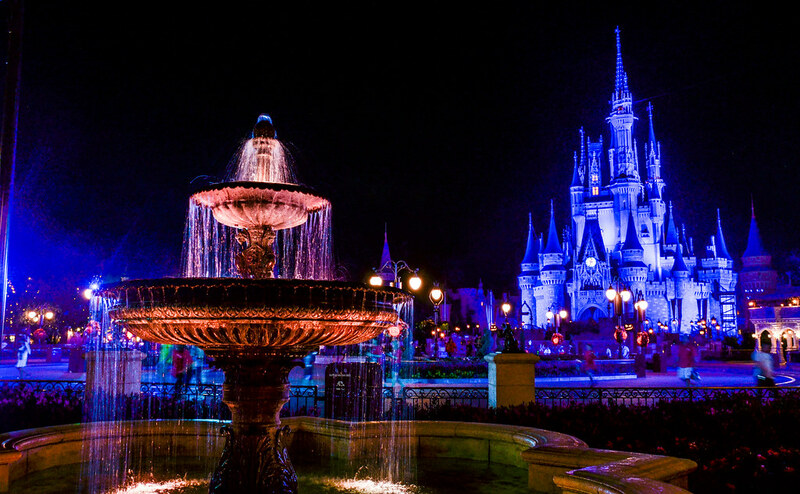 I think something in front of the castle at night adds a whole new environment to the hub and Main Street. Enough beating around the bush though. 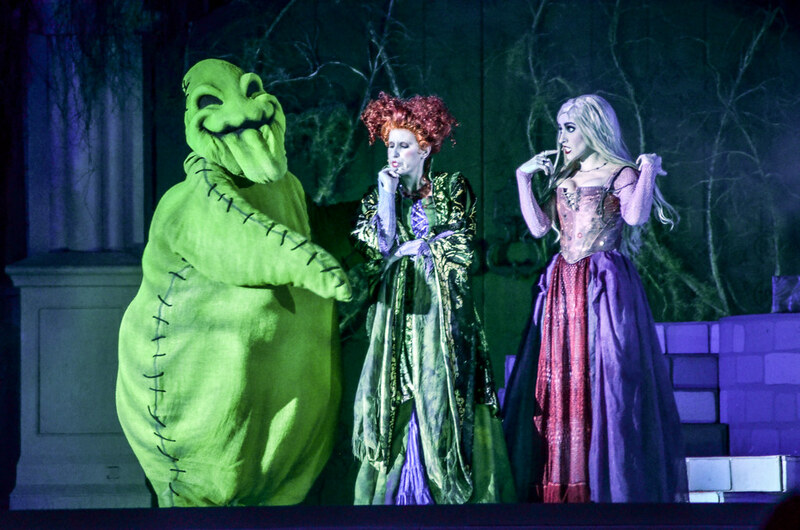 Hocus Pocus Villain Spectacular was good and all but it owes a decent amount of its success to Oogie Boogie. Affectionately named The Oogie Boogie Man by yours truly, Oogie Boogie stole the show dancing around like his life depended on it. Not to mention, he has the best song in the whole show. 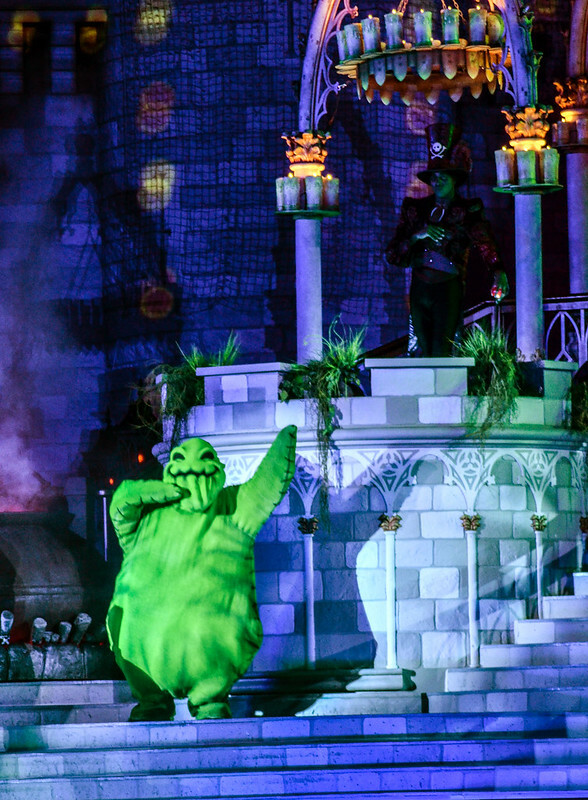 Much like King Louie, Oogie Boogie is one of those characters I could watch dance around on a stage all day. I took a lot of pictures of him. After Hocus Pocus wrapped up, we went and got some food. I’m not going to write a review of this so I’ll just say, the chicken waffle sandwich at Sleepy Hollow is one of the best values and entrees of any counter-service restaurant in Walt Disney World. Go eat it before they take it away again! We decided to watch the parade again, in a new area. Main Street is definitely the preferred location. I’ve already raved about the parade but I’ll add in one more thought. 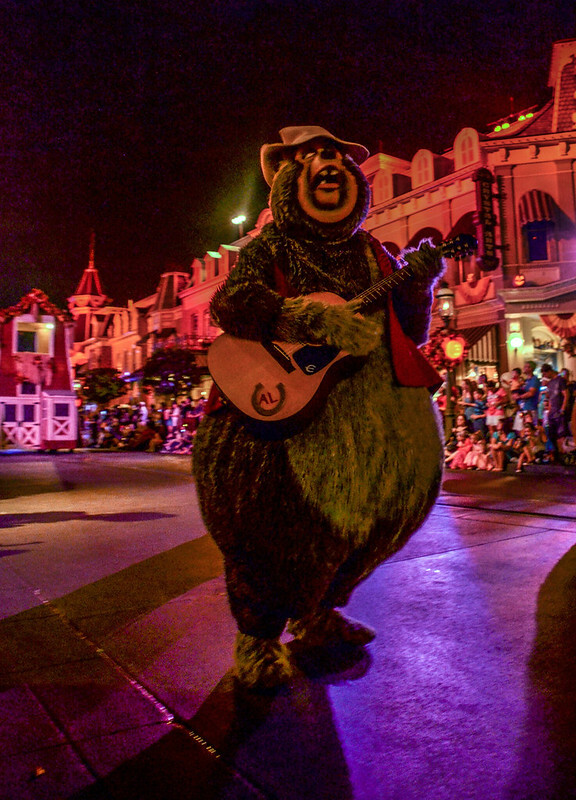 The cast members were all fantastic and brought extra energy to the Boo To You parade, as opposed to a regular parade. I really enjoyed interacting with them and they were very complimentary of all our costumes. We took a walk along the river back to the Haunted Mansion. We missed out on the live characters in the queue but it was still fun to see the Mansion with extra fog and lighting around it. Not to mention, there were candy stops along the way! We also rode Peter Pan’s Flight because how often do you get to ride that while with someone who is dressed as Peter Pan? Not very often, I’d say! I thought the new additions to the queue were nice but they didn’t leave much impact. We went on this ride at the very end of the party and found this to be a pretty good time to go. 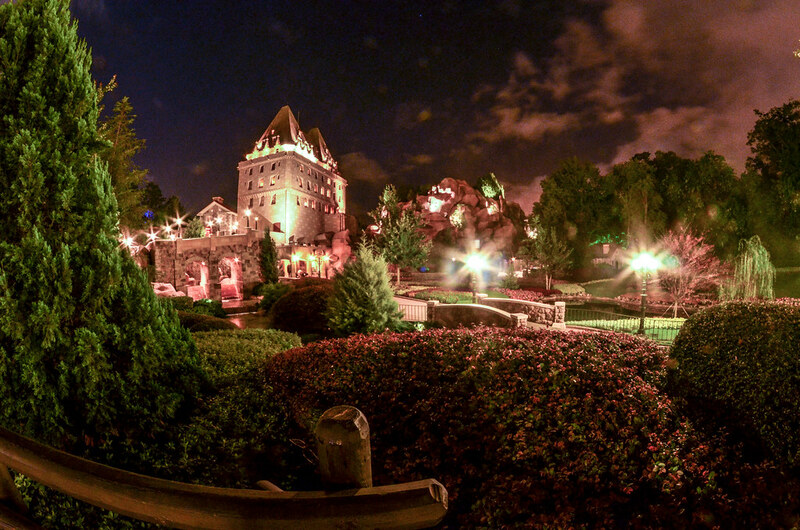 After we were done with those attractions, the clock had struck midnight and the party was over. I split off to take a few photos while the others looked at the Halloween merchandise. For the record, they weren’t very impressed with the merchandise. 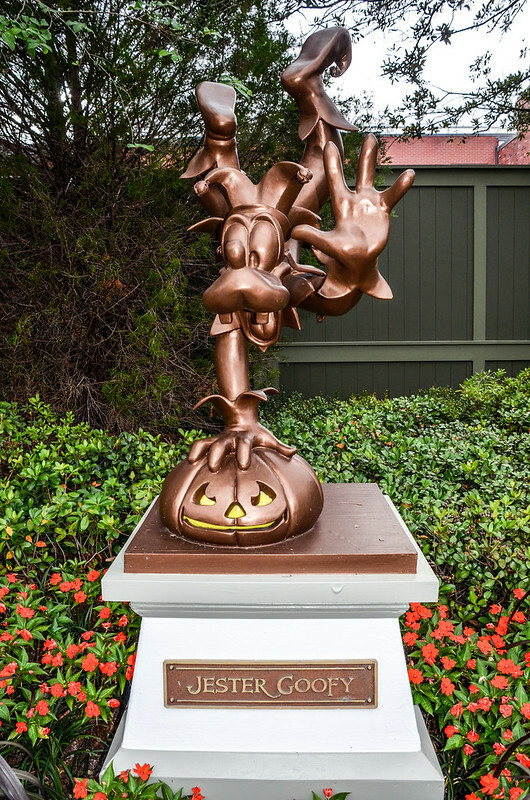 So, was Mickey’s Not So Scary Halloween Party worth the cost? I’ll give an extremely non-committal answer but it truly depends on who you are. If you are a Disney nut, then yes. If you enjoy the shows, unique meet and greets, and/or theming more than just about anything else, then yes. 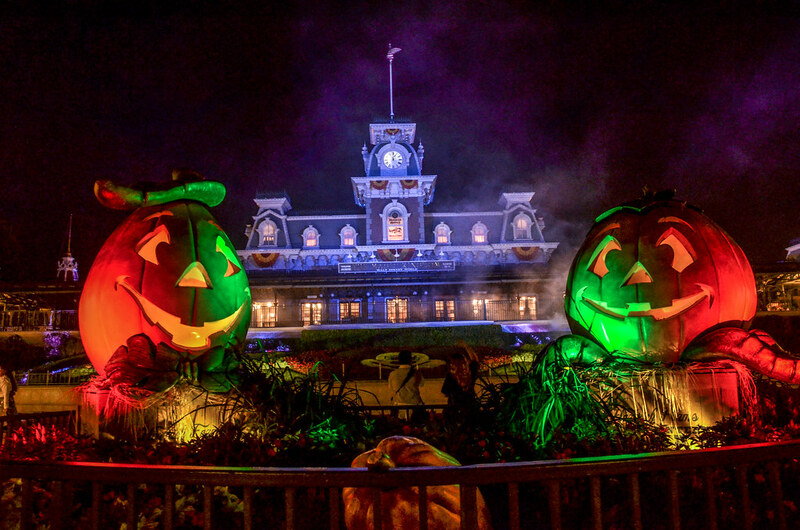 If rides are by far the most important part of the parks to you then no the Halloween party is probably not worth the money. For me, the party was absolutely worth it and I will likely do it again soon. The next morning we slept in and enjoyed walking around Pop Century and Art of Animation. We eventually went back to Magic Kingdom and enjoyed the great Muppets Present… Great Moments In American History. I reviewed that here. The real reason we went to Magic Kingdom that afternoon was to eat lunch at Be Our Guest. 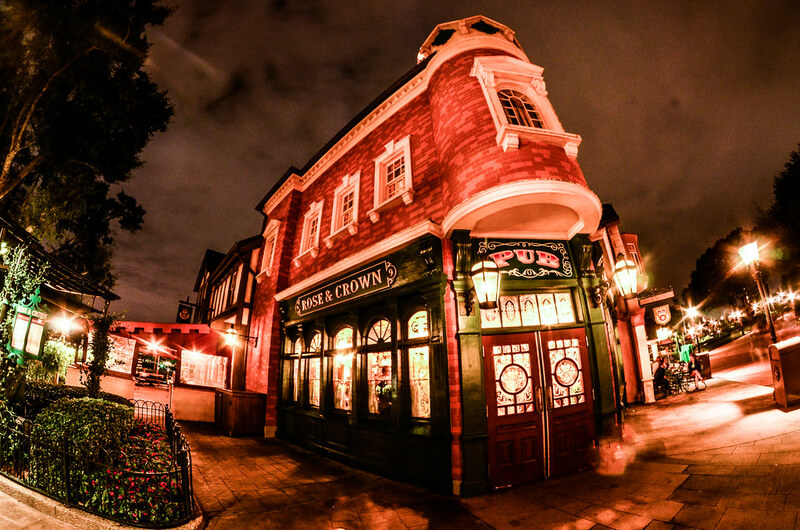 This restaurant remains one of the better counter-service areas in Disney World. 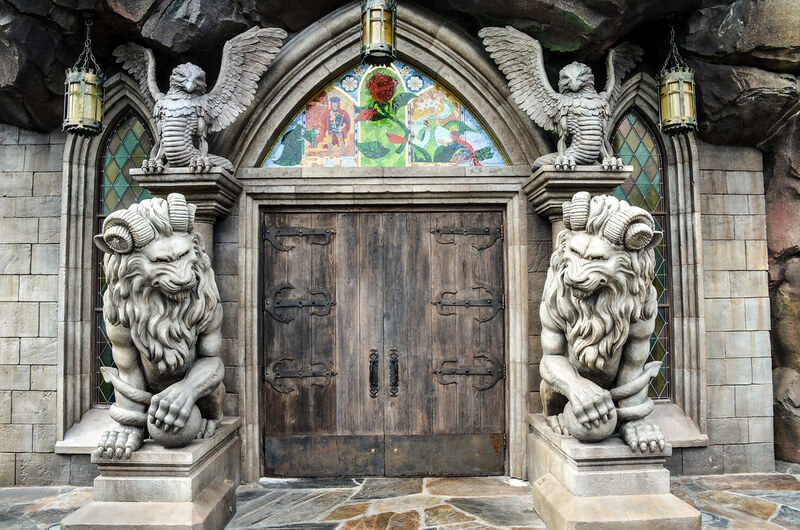 Everything we’ve tried is delicious and the theming is top-notch. After lunch we headed to Epcot for the rest of the evening. We went on Spaceship Earth first, which is sadly in need of a refurbishment. The Seas was next on the list and while I don’t enjoy the attraction in there at all, I could spend a long time in the aquarium section watching the different fish swim by. 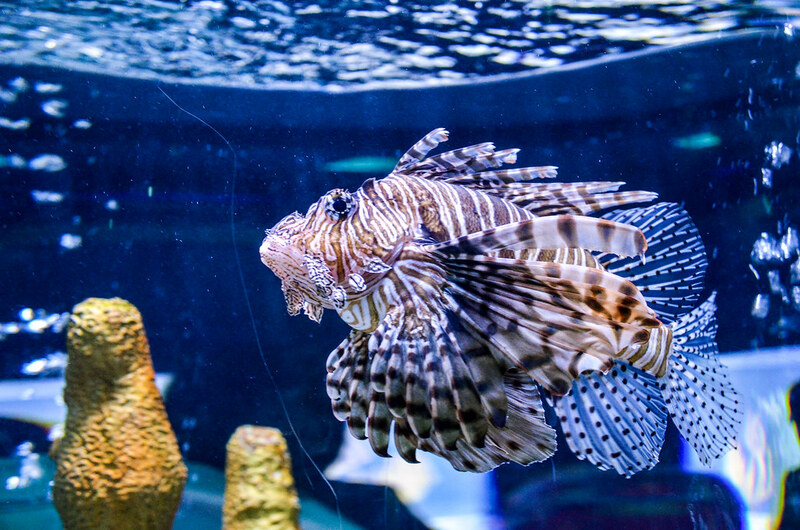 This is a lion fish. I ate one at Skippers Canteen earlier in the trip and that’s why I took this photo. I’ll let you be the judge of what that says about me. After The Seas it was time for our Frozen Ever After FastPass. We walked up to the Norway Pavilion in great anticipation (well, at least the ladies were excited) and found the ride to be down. That was a let down and we moved on to the China Pavilion. After shopping around a bit we went into Reflections of China (the movie in that pavilion). Now, I consider myself a fairly kind person so the events that followed I hope are an anomaly. The very friendly cast member was making announcements before the movie and I was casually checking my app to see if Frozen Ever After was back running. To my surprise, it was. Did I wait for the movie to end before rushing out of the theater? 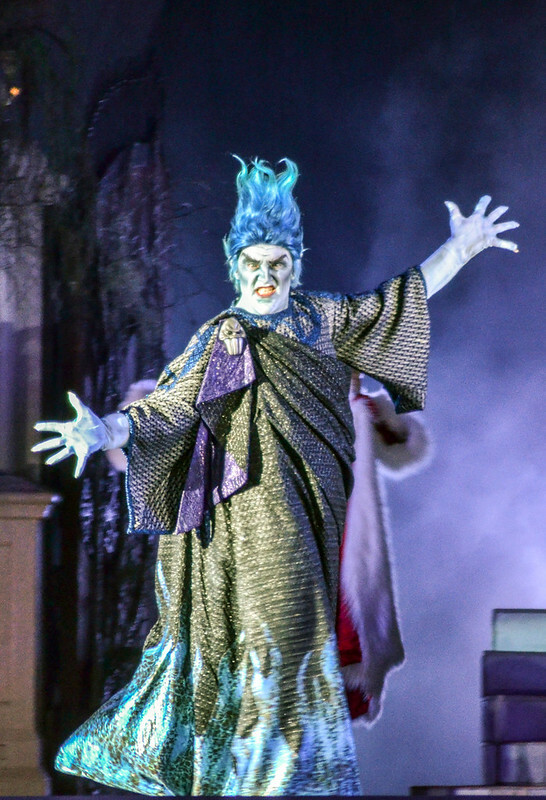 No… Did I wait for the cast member to get down from her podium before I bolted out of the room? Hardly. So, I did my bad deed of the trip and before we knew it we were in Frozen Ever After. You can read my review of that here. That night we went to dinner at Teppan Edo in theJapan Pavilion. I really enjoyed the food there and found it to have some of the better steak on property. I didn’t the environment was anything to write home about but the food was plenty good. 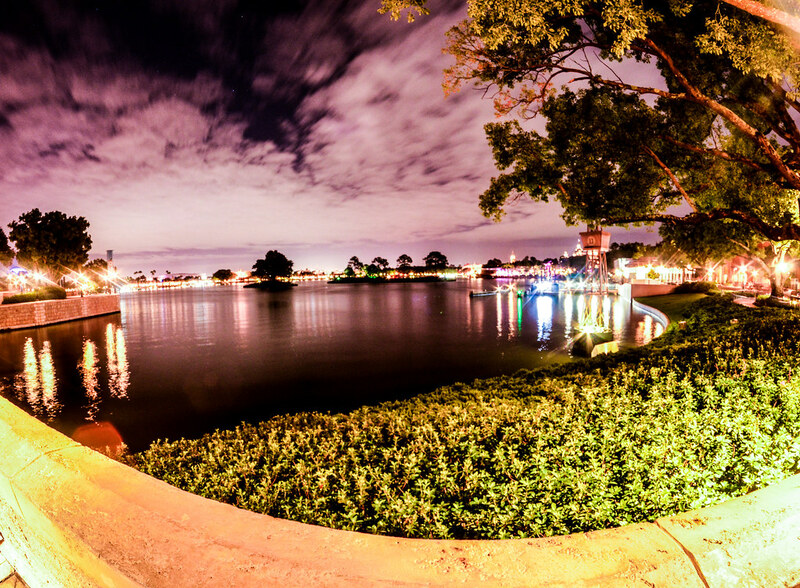 We didn’t get out of dinner in time for a good view of Illuminations but Epcot was open late that night and there was plenty of time for taking photos (and eating.) It was somewhat rainy so I didn’t have a ton of luck getting pictures but there were a couple that I liked. Actually most of the ones that I liked (that were edited) I just lost when my laptop crashed. Thankfully I have them backed up but can’t get to them until my laptop is fixed. All that to say, I wish I had better photos to show off! For most, the night would have ended there. We got on the bus to head back to the resort but I was really thirsty and wanted something other than water. I was hoping to make it back before the food court closed at midnight. When the bus pulled in, it was 12:03 and my hope was lost. To my surprise, I saw people still walking into the food court. I got off the bus and ran to the automatic doors. People in front of me were getting in but by the time I was near the doors, they were closing and not automatically opening any more. I kicked it into another gear and contemplated an action-hero type dive through the door. Instead my instincts took over and I stuck my foot in between the doors hoping that they would work like an elevator. I hopped around there for a second before realizing that those doors weren’t about to open. I’m sure it was quite the sight for the workers inside. Sure enough, the security guard saw my exhaustive effort and came and opened the door for me. Once in, I enjoyed the laughs of many cast members who clearly had not seen this much effort in trying to get a refill. We got that refill and the night ended with refreshing and satisfying stroll back to the room. We’ll pick up the next morning in part 4 of this trip report. Thank you for reading and leave us a comment if you have any questions or thoughts!